Complex of two theatres stacked one over another. Built 1913 by Thomas W. Lamb. 1987-1989 restorations. Elgin Theatre: Opened 15 Dec 1913 as "Loew's Theatre". 1563 seats. 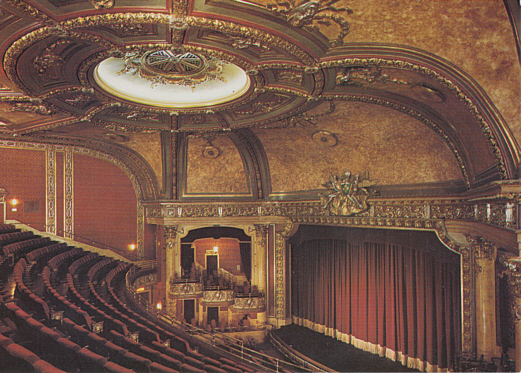 Winter Garden Theatre: Located seven storeys above the Elgin Theatre. Opened 16 Feb 1914. 981 seats. Reverse Text: "The Ontario Heritage Foundation's Elgin and Winter Garden Theatre Centre. The lavish Elgin Theatre in this National Historic Site, boasts gilded plaster details on the opera boxes, the proscenium and the magnificent domed ceiling." Reverse Text: "The Ontario Heritage Foundation's Elgin and Winter Garden Theatre Centre. 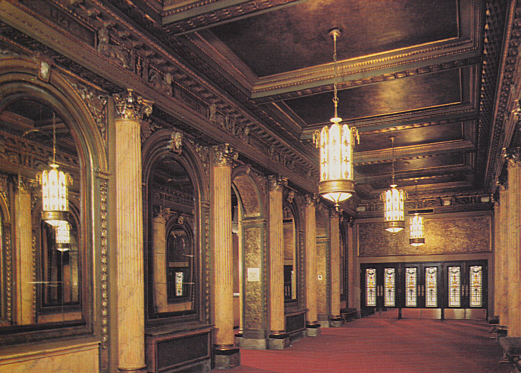 The elegant lobby of this National Historic Site, with its marbleized columns, mirrored walls and stained glass doors, serves as the main entrance to both theatres." Reverse Text: "The Ontario Heritage Foundation's Elgin and Winter Garden Theatre Centre. 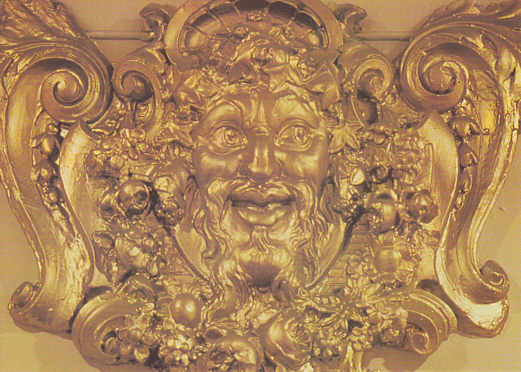 One of the many magnificent and intricate plaster details found throughout the Elgin Theatre, a National Historic Site. The plaster figures were painstakingly restored through an eight step regilding process." Reverse Text: "The Ontario Heritage Foundation's Elgin and Winter Garden Theatre Centre. The Winter Garden Theatre, a National Historic Site and the world's only fully restored roof garden theatre, contains hand-painted wall murals. 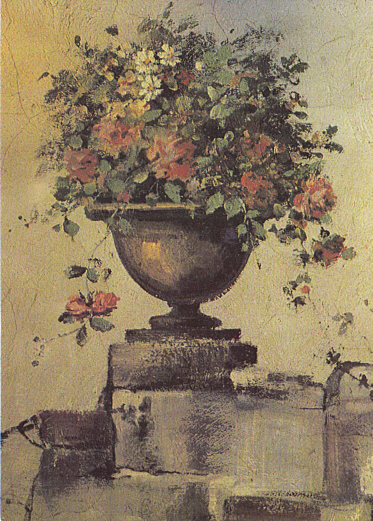 The images, including this vase of flowers, depict floral scenes and woodland life." Reverse Text: "The Ontario Heritage Foundation's Elgin and Winter Garden Theatre Centre. 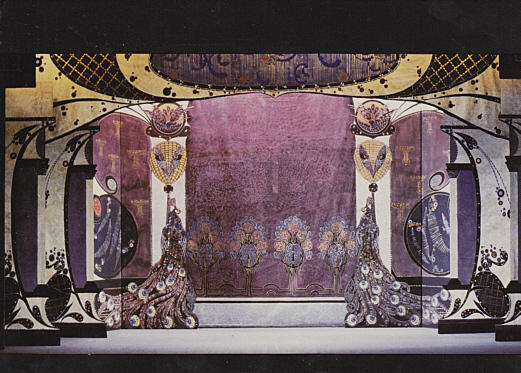 'The Peacock Flats', (circa 1920), hand-painted stage backdrops on display in this National Historic Site's cascading lobbies, are part of the theatre's unique collection of vaudeville scenery."